Bernard hasn’t had an easy life. He and 3 of his friends were rescued when another “rescue” had to surrender their horses. 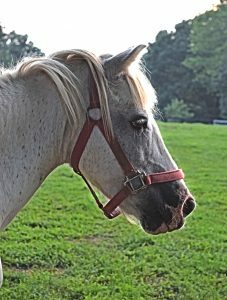 13 Hands was selected as one of a few rescues that was allowed to take some of these horses in and rehabilitate them. Several were in pretty bad shape. Bernard is very strong. All of his friends are gone now. 2 have passed on and 1 was adopted to a forever home. He’s happy with our herd here at 13 Hands, but he would do best with that 1 special person to love and understand him. He is a flea-bitten grey gelding. He’s a small pony who would make a great companion pet. 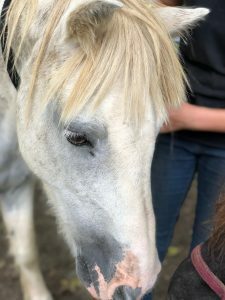 Please help Bernard and the other horses by adopting, fostering and sponsoring, or making a donation. You can also help 13 Hands by volunteering, spreading the word, liking our Facebook page, and signing up for our newsletter. If you have any questions, please contact us using our Contact Page.